Heads up tinkerers, hackers and the 3 regular visitors to this site; I’ve just found out how to bring up the debug menu in recent Telltale games and now I’m going to show you how to do it too. The debug menu lets you skip to any section of a game, complete with the appropriate inventory items. It’s therefore useful if you’ve lost your saved game or want to replay a specific section to see what you’ve missed. By ‘recent games’ I mean Bone 1+2 and all episodes of Sam and Max Season One. You’ll need to have bought and registered the games as the debug menu only works on registered versions. Activating the menu is a simple process. Hold Control, Shift and D on the keyboard and double click on the arrow button (the button that opens the menu). Bring up the menu screen (by pressing escape) hold Control, Shift and D on the keyboard and click on the ‘quit’ option. I found out how to activate the menu a long time ago; that is to say I worked out what had to be done to activate it, but I didn’t know the required key combination. 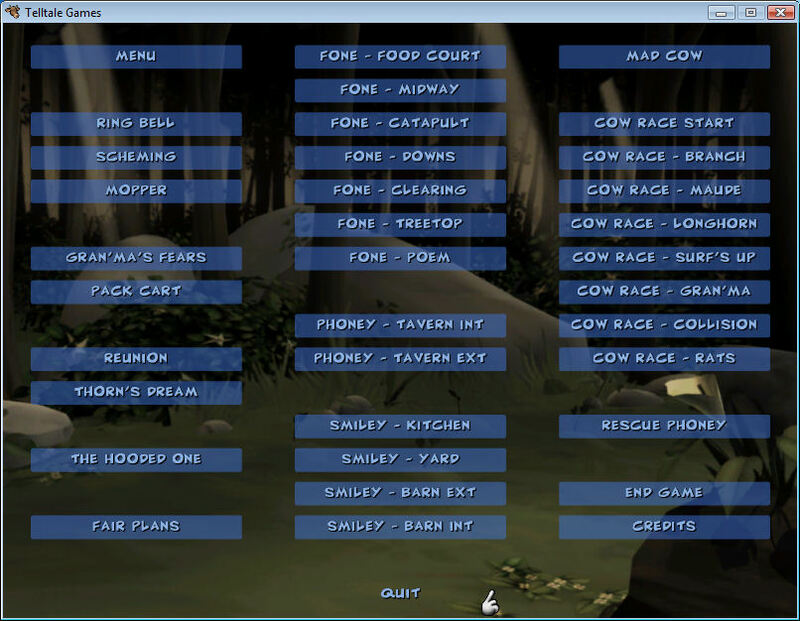 Earlier today I was playing through the final episode of Sam and Max when I remembered the debug menu. In the past I’d tried a number of different key combinations..surely I’d tried the most obvious one? Without any expectations I pressed shift and D, double clicked and…nothing. I tried it with control and…aha. There’s no substitute for a lucky guess. will it work on the gametap ver? I don’t know, you’d have to try it and see. will the TellTale LangDB Editor be compatible with the episodic Sam and Max in the future? 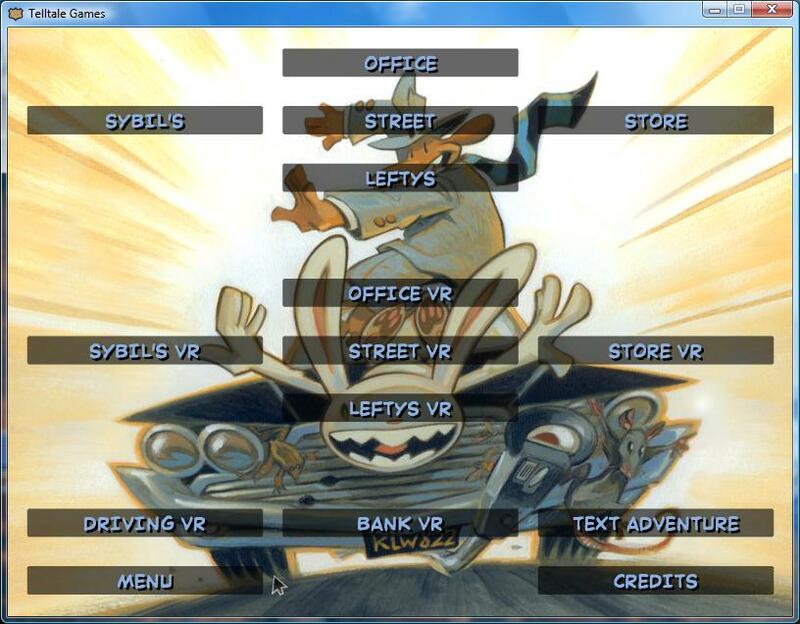 I have a version that works with Sam and Max, unfortunately I cant release it for the reasons stated here.